Download the Bulletin for Meeting 1068/69/70 here. 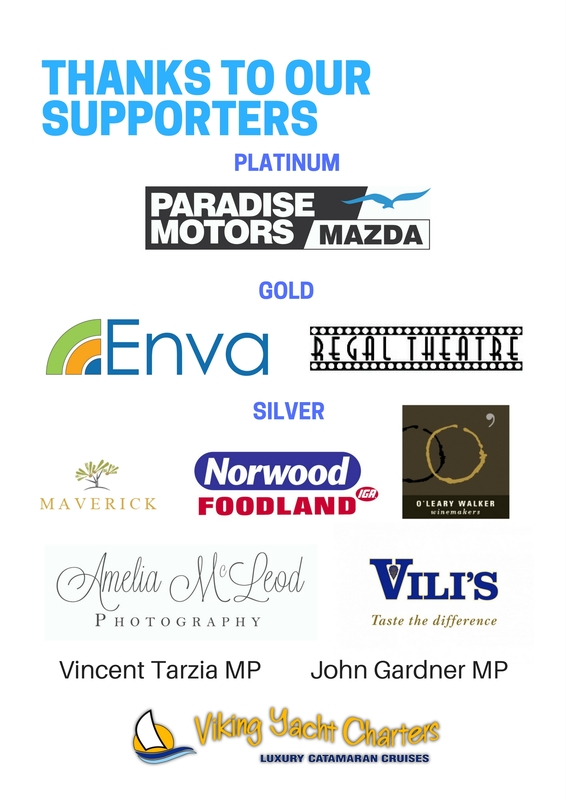 Download our Club Supporter List here. Julie and Kirsty offered their apologies for meeting 1070. Note, there have been a number of meetings since the last bulletin. Some have been joint meetings, the latest being 12th March with St Peters Club. 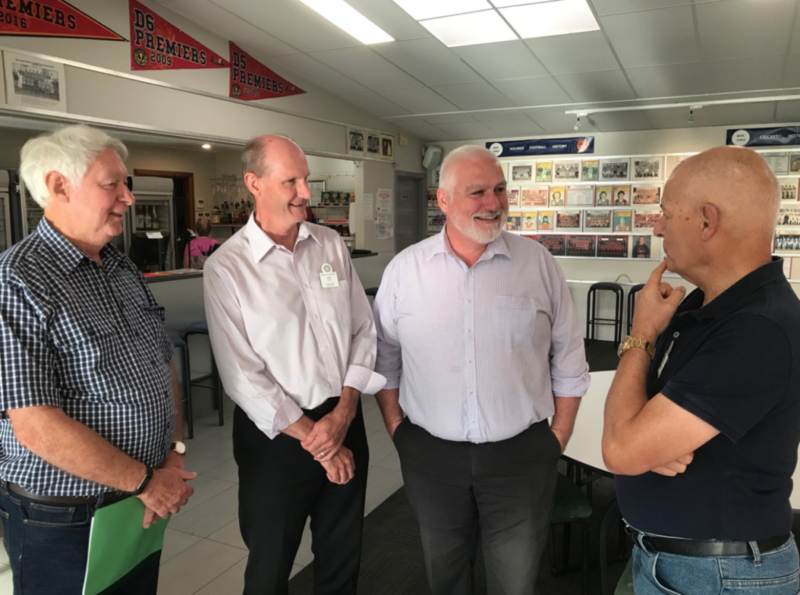 Longtime Honorary Member, Simon Brewer, attended this week’s meeting and is seen chatting, post meeting with current President Chris, erstwhile President Ian and Club Secretary Colin. At the most recent Board Meeting, the board members resolved to keep the Club running next Rotary Year, which was fleshed out a little more at Breakfast. Club Assembly and discussion about future membership and The Reel Event. Further meeting on The Reel Event at the Gascoines, Thursday evening, 14th March. Stallholder numbers were down, but we were blessed with perfect weather. St Peters’ Guest Speaker on Tuesday evening 12th March was veteran newsreader Graham Goodings (he’s a funny man), seen with Mark and Susan. This was a joint meeting and it’s a pity that only 3 Club members from Magill could attend. By the way there was no Goofy Expressions contest. This sometimes happens when club photographer Mark loses control of the camera. Mark is seen mumbling ‘Chris, take the #@!? Shot’. Tue 05 Feb Chris & Susan, Ian & Julie, Mark & Mari attended Kirsty’s short movie premieres at Wallis Cinema, Mitcham, and met at the Edinburgh Hotel for a meal afterwards. 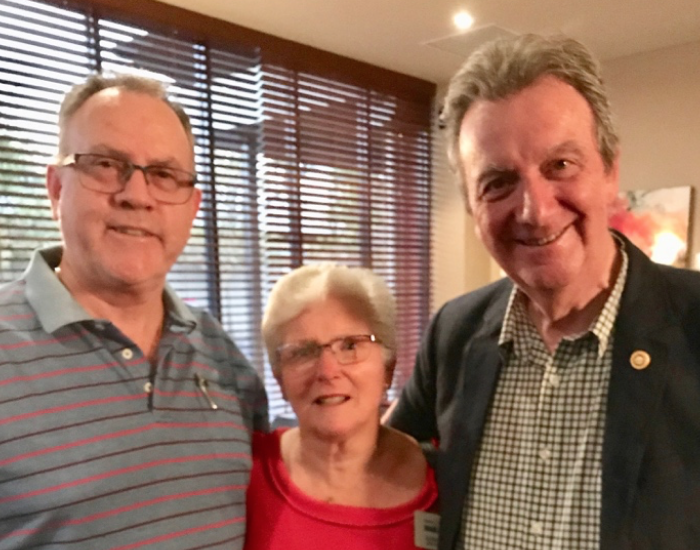 Wed 06 Feb Julie Carman, Susan & I attended RC Norwood and RC Burnside’s Rotary Information Session at the Kensington Hotel. Fri 08 Feb Chris & Graham assisted at RC Norwood’s Bunnings Mile End BBQ for an addition of $200 to our Fundraising Funds. Sun 10 Feb a number of members from the Burnside, Eastwood, Morialta, Norwood and St Peters clubs came to have a look at the Sunrise Market. Tue 12 Feb this was a closed meeting at which our discussions focused on the specific options open to the Club for the future and with the result of a determination that the Club would much prefer to keep going if at all practicable. Later that day Chris met with Campbelltown Mayor Jill Whitaker and Council CEO Paul Di Iulio to discuss the current situation of the club and whether the Council can do anything to help us recover. Wed 19 Feb Chris, Colin, Ian, Lindsay, Mark and Siony attended a Joint Meeting with RC Morialta at the Rezz Hotel, Newton. Wed 27 Feb the Magill Probus Club was formed under the sponsorship of RC Campbelltown. Pres. 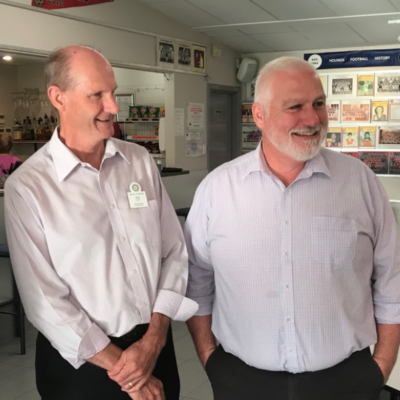 Brian Kretschmer of RC St Peters presented a “Rotary – Make a Difference” note that could prompt a good response when talking to someone who has expressed an interest in what Rotary does/is about. Tuesday 12th March, Chris, Susan and Mark attended a joint meeting with Rotary Club of St Peters at the Kensington Hotel. Footy Tipping is back on. See Lindsay to sign up. 28 Mar to 04 Apr — Conference Bicycle Ride, from the Ocean to the Outback 636km from Victor Harbor to Broken Hill, a fundraiser for Australian Rotary Health, 7 days of riding, 1 rest day, averaging 90km per day — easy! !